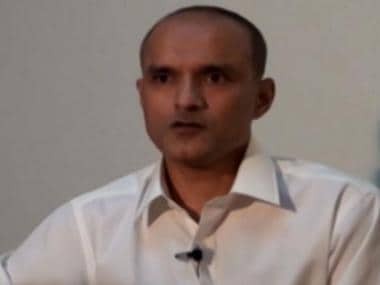 Islamabad: Pakistan has claimed that Indian national Kulbhushan Jadhav, who has been sentenced to death by a military court, was providing "crucial intelligence" about the recent terrorist attacks in the country. "Jadhav continues to provide crucial intelligence with regard to recent terrorist attacks in Pakistan," Foreign Office spokesperson Nafees Zakaria told Dawn News in an interview. However, Zakaria did not elaborate on the details of the intelligence being provided by Jadhav. The Hague-based International Court of Justice stayed Jadhav's execution on May 18 but it has to decide the issue of jurisdiction in the case, Pakistani officials said. Meanwhile, Pakistan's Attorney General Ashtar Ausaf told Dawn News that Pakistan had enough evidence to prove that Jadhav was a "spy". Ausaf said Pakistan has information on Jadhav that could not be disclosed due to security reasons. "The evidence would only be presented before the International Court of Justice (ICJ) once it resumes the hearing," he said. Ausaf said the ICJ's 'procedural order' of 18 May was neither Pakistan's defeat nor India's success and emphasised that when the case re-starts, "Pakistan would be on solid ground to win". Responding to a question regarding the constitution of a new legal team, Ausaf said that there were no plans to change the team. However, he said it would be "expanded". 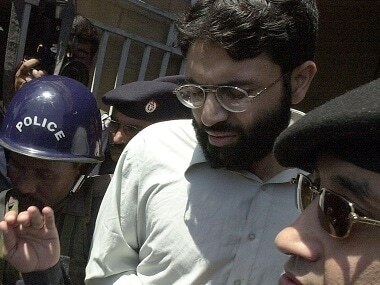 When asked why he did not represent Pakistan at the 15 May hearing at the ICJ, Ausaf claimed that he "knew prior to the judgement that the ICJ is going to announce the provisional order". Jadhav, 46, was last month sentenced to death by a Pakistani military court on charges of "involvement in espionage and sabotage activities" against the country. The ICJ on 18 May stayed the execution of Jadhav. The ruling triggered criticism of the Pakistan Foreign Office for its "poor handling" and also for its choice of attorney Khawar Qureshi, who presented Pakistan's case before the ICJ.